Should we support or promote ‘alternative unions’? 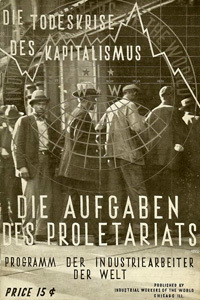 Does a permanent organization of the trade union type (including the ‘alternative unions’) have any chance in the modern capitalist world of today to escape the fate of being completely integrated and bureacratized – like so many other organizations of that type in the past? 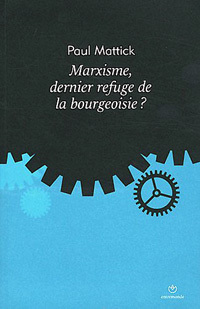 Neither the author nor any of the groups having published the original title had been informed or consulted about this attempt of familiarizing British readers with Brendel’s ideas on the British working class movement. 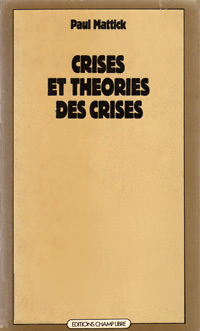 Instead of presenting Brendel’s fundamental ideas as expressed in the book, the translator rather concentrated on what he personally thought was important about Brendel’s ideas. Even where he stuck to the original text his translations were in fact far from being accurate. On top of this a great number of factual errors crept into the translation which could not be retraced to the original text. All in all the English summary of Brendel’s book was a rather bad, incomplete and abridged version, not very faithful to the original text. Nonetheless it was published under Brendel’s name. 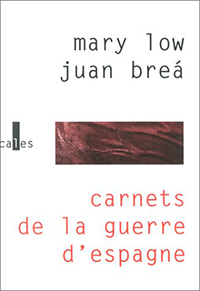 This haphazard translation got into the hands of a N.U.M. (National Union of Miners) official – David Douglass, and certainly infuriated him. 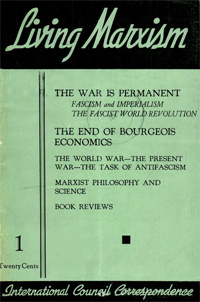 Being in contact with the British libertarian group Class War he put down his harsh criticism of the pamphlet in a paper to be presented at the Class War conference in July 1991. 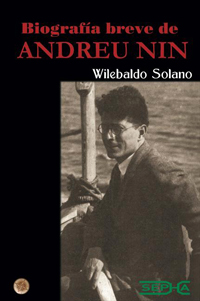 And being unaware of how the translation and summary had been done he firmly believed to be attacking Brendel for his ideas while in fact attacking an unacceptable summary and translation by someone else. This is true for nearly all of his arguments except the central one referring to the relationship between the working class and the unions (in this case the N.U.M.). Douglass defends the unions not simply as organizations of the working class, but as major instruments of working class struggle, in particular where the left wing inside the unions scores victories over the right wing. 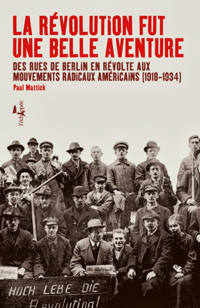 Brendel (and in this case not just the author of the bad summary) as well as the other people contributing to this pamphlet are clearly opposed to such views emphasizing the concept of an autonomous workers’ movement independent of the unions – if not in opposition to them – i.e. the non-identity of union and class. 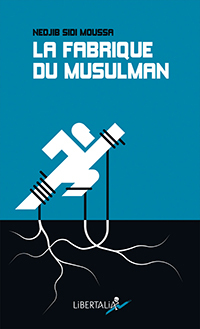 After some discussion with participants of the network of Echanges et Mouvement, with which he cooperates closely, Cajo Brendel prepared a draft letter to David Douglass to clarify some of the issues raised in his paper. This draft letter was circulated to a number of comrades for comment. Brendel then drew up the final version integrating some of the comments made. To this letter David Douglass has not yet replied – and it is doubtful if he ever will reply at all. 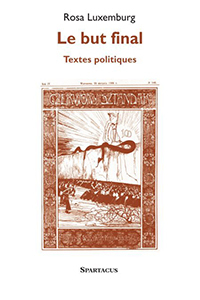 Wherever comments of comrades from the Echanges et Mouvement network could not be integrated into the letter, they were then reformulated as separate texts dealing with specific problems discussed by Douglass in his paper. – some remarks on the development of the shop stewards’ movement in Britain since the last war (by Theo Sander). 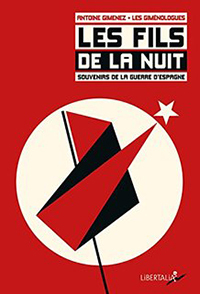 The autonomous class struggle which the book refers to is not even a specifically British phenomenon – it is a formula describing the increasing number of official and unofficial strikes in the first three decades of post-war capitalism all over the world. But because of the outstanding frequency which it reached in Britain it has become commonplace to characterize this development as the « English Disease ». Usually the trade unions are blamed as being responsible for it, and this kind of error of judgment even became a cornerstone of political ideology in Britain when at the beginning of the eighties the Thatcher government launched a series of attacks against traditional trade union rights. 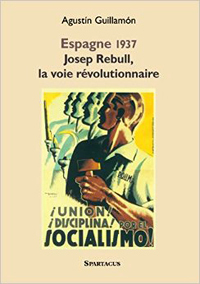 The author is firmly opposed to this popular belief of making the trade unions responsible for capital’s problems, and at the same time he refuses to accept that the trade unions could be able to solve the problems (or at least some of the problems) of the working class. He sees things differently: The working class is well able to solve its problems itself, and in doing so it needs nobody’s support. To corroborate his views he has used a large number of British sources for writing this book on the autonomous class struggle in Britain: daily papers (among them The Times, the Financial Times, The Express, the Daily Telegraph, the Daily Mail, the Daily Herald, etc. 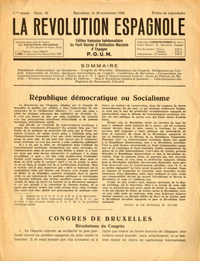 ), party weeklies (among them the Socialist Leader and the Socialist Standard), different magazines (The Economist e.g. 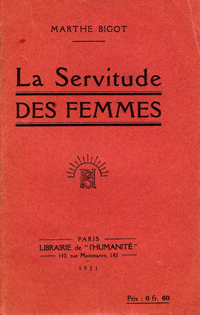 ), books, pamphlets and oral information, given to him by some of his friends from the British working class. And having studied this bulk of material he has come to the conclusion that trade unionism has undergone a dramatic change in the post-war period pushing it to the very brink of its existence where it could no longer escape and no longer manoeuvre: Finally trade unionism has ended up in being in strict opposition to the working class and in being seen by the working class as such. The book starts with a quotation from the Daily Telegraph, wrongly calling to mind the General Strike of 1926 when the strike wave of 1972 reached its climax in late July. Indeed the situation then could in no way be compared to that brought about fifty years earlier by the General Strike, which had been reluctantly proclaimed by the unions from above, and only because they were provoked by the government, leaving them little room for acting differently. In a realistic perspective the 1926 strike could only be characterized as the swan song of a past era: proclaimed from the top, broken from the top. In 1972, however, the strike movement originated on the shopfloor, and it was led by the workers themselves. The union could not avoid but support them if it wished not only to lose its face but also a lot of members. And while the National Union of Mineworkers pretended to be pulling the wires, the pitmen took over the initiative, employing methods of struggle which went far beyond the framework of the usual trade union practice. The same kind of situation prevailed in the railwaymen’s strike and in the docks. 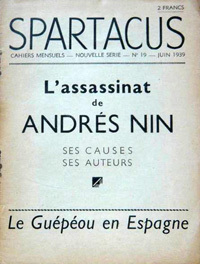 It could be described as a general strike organized from the bottom, a sort of general « wildcat », which started not because of the will and the authority of a union, imposing its tactics on the workers, but because of the workers acting by themselves and for themselves and thus imposing their will on the union. Consequently there is a clear dividing line between 1926 and 1972. 1926 was the last expression of the old, traditional labour movement in Britain. Then the British unions were, in fact for the last time and for particular reasons, forced to maintain their appearance as representatives of the working class. Later, and more and more clearly after World War II, they could no longer allow themselves the luxury of a big strike, not even one limited to a particular area or trade. 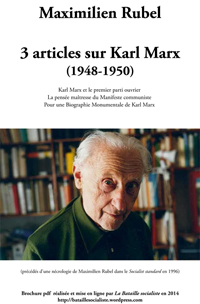 This fact has ever since been a decisive factor in the behaviour of workers, their desire for self-determination and for the development of autonomous struggle, which forms the subject of a large part of the book. 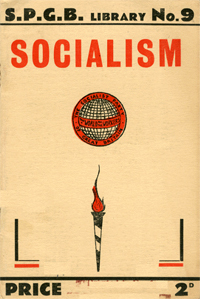 Looking at the post-war history of the British labour movement (i.e. 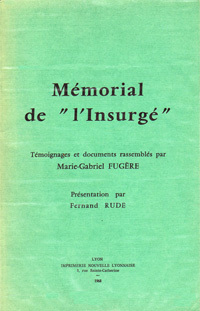 the organized movement), it seems difficult to avoid the conclusion that this history has in fact been a kind of final judgment over its traditional organisations. All honest belief in them (whatever might still have remained of it) turned out to be pure and simple illusion; no myth which didn’t lose its lustre; no political sense which didn’t turn into absurdity; no social attainment which didn’t become just the opposite of what people thought it would be. All too soon it became obvious that the policy of the third Labour Cabinet, formed in 1945, was not – as Prime Minister Clement Attlee had told the workers – « based on the brotherhood of man ». « Brothers » in uniform invaded the London Surrey Docks to break a ‘go slow’ of the stevedores. 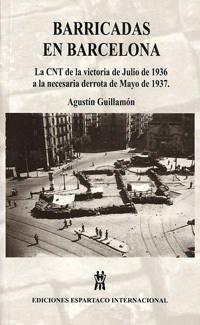 The so-called ‘workers government’ sent troops against the workers, and afterwards did so again and again. Troops, yet more troops, always troops, this was Labour’s constant reply to strikes. Meanwhile the mines and some other industries were nationalised. 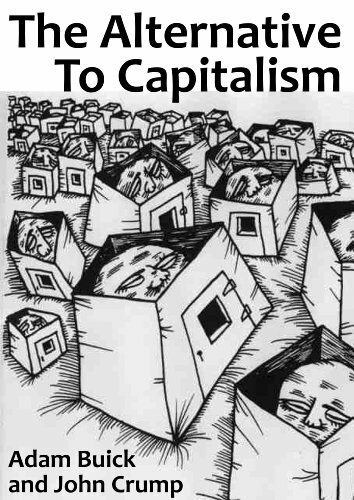 It didn’t take long for workers to find out that there was simply no difference between private and nationalised capitalism, or to be convinced that wage-slavery in the mines and in other nationalised industries would not be altered in any way, at least not for the better. When the miners of Grimethorpe Colliery in Yorkshire went on strike to express their total dissatisfaction with this kind of development, the union’s president called them « criminals »; the National Coal Board brought a charge against 40 of them. 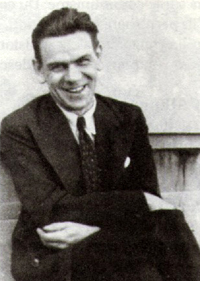 Arthur Horner, the union’s General Secretary (and a member of the British Communist Party) was a witness for the prosecution. Not only was this a great lesson about the true meaning of nationalisation, it also brought home to workers the true meaning of trade unionism. But this was only a beginning. Increasingly workers discovered that in their struggles with capitalists and government their so-called leaders stood on the other side of the fence. The discovery was, of course, not a matter of somehow gaining some theoretical insight, but a matter of practical and often unreflected experience. In many cases these experiences were certainly still in conflict with workers’ traditional views of the trade unions and the Labour Party. They may still have been little inclined to believe that the fundamental character of the organisations could be responsible for their opposition to the working class. They may still have tended to blame this or that individual of the moment for the failure of the organisations to support workers. But such views came heavily under attack in the post-war period and in the end became more and more undefendable. What is more important, workers continued to act in accordance with their class situation, in accordance with their own experience on the assembly line or elsewhere at their workplace, as the situation demanded. And even if they often were not yet aware that what they were doing was in total contradiction with union practice and party principles, their struggles effectively created this contradiction and intensified it more and more. Sometimes their illusions went so far as to demand from bureaucrats to support their spontaneous actions. Not before they had realized a hundred times that this support was not forthcoming, did they reluctantly accept the truth about unions and Labour Party. 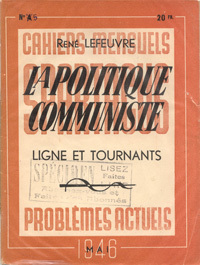 Because of all these and similar facts, unofficial strikes became daily events, especially in the post-war period, putting the unions and the Labour Party into a difficult position. For the union only has a significant role to play in industry as long as capitalist development still permits for mediation and as both workers and capitalists are more or less convinced of its value for each of them. The downfall of the unions was accelerated by the fact that the unions had less and less power to bridge the widening gap between themselves and the workers. The traditional ways of settling disputes failed increasingly. Therefore the unions were no longer able to exert their moderating influence on the working class. At the end of the sixties it was clear that Britain was faced with a rising tide of strikes, for the greater part unofficial and more difficult to end than any official strike before. 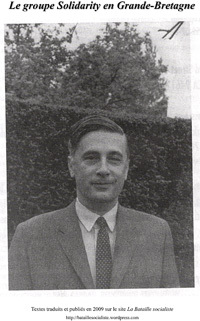 Ray Gunter, head of the Ministry of Labour in the Labour Government of Harold Wilson, disappointedly remarked that « union leaders have lost control ». 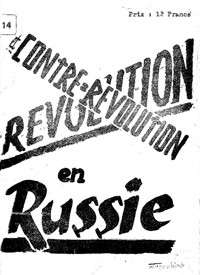 The independent action of the workers had increased irresistibly; the m o v e m e n t o f t h e w o r k e r s against capitalists and self-proclaimed friends of the working class had definitely gained momentum. In the face of this development the British ruling class concluded that only a miracle could pull them out of their unpleasant situation. And in fact they were optimistic (or perhaps naive) enough to believe not only that such a miracle was possible but that it had suddenly occured. The miracle in question was supposed to be performed by Barbara Castle, Secretary of State for Employment and Productivity in the Labour government of Wilson. She had concocted a White Paper under the telling name of « In Place of Strife », intended to be the starting point of the government’s fight against any form of unofficial strike action. 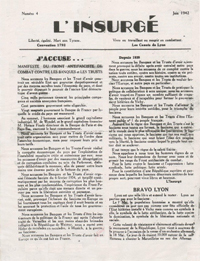 The White Paper drew up details about the opening shots to be fired, the numerous battles to be fought, and the rear-guard actions deemed necessary to win this fight against the unofficial movement. In fact Barbara Castle never came near to freeing Britain from the « plague » of the wildcats. As the Wilson government was forced to quit and the Tories moved into Whitehall, they for their part claimed to be able to finish the job: an ‘Industrial Relations Bill’ was presented to the Commons, becoming law in February 1972. That was to become the signal for even fiercer struggles. The unions, because of the radical shifts of their position, had no intention (and no means) of fighting the law seriously. The workers, however, did fight it, even before the Tories’ project became law. The first strike of a longer sequence was the one called for by the Union of Postoffice Workers early in 1971. In the late summer of this year the autonomous struggle of the British working class displayed new forms. The author dwells on the so-called occupation of the Upper Clyde Shipyards, which in fact was not an occupation but was far more realistically called a « work-in » by the workers themselves. There were lots of other struggles which did deserve to be called occupations. He cites the cases of the Plessey plant in Alexandria, the Allis-Chalmers plant in Mold, the Fisher-Bendix factory in Kirkby and other factories, basing his descriptions for a large part on first-hand verbal or written information by participants and eye-witnesses. In the course of 1972 the number of occupations increased continually, growing faster and faster and spreading to more and more industries. Workers showed that they had a whole arsenal of varying initiatives and instruments to fit the specific aims of their struggle. and they showed that they were not particularly impressed by the threats of the Industrial Relations Act. Even though the Industrial Relations Act of the Conservative government under Prime Minister Heath had became law early in 1972, it proved completely useless for containing the intensifying class struggle. The hardest blow against it came from three major conflicts during the first seven months of the year. 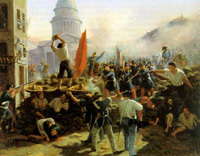 Strikes of the miners, the railwaymen and the dockers, one starting even before the other had finished, escalated to the point of a catastrophic showdown, a contest of strength indirectly between the British workers and the ruling class, and directly between the working class and the State. 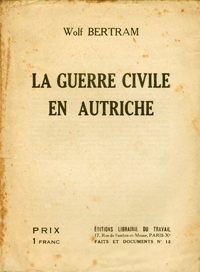 The major part of the book deals with a detailed analysis of the causes and effects of these conflicts. Though the strikes were in turn proclaimed by the unions, the rank and file went far beyond the limits of trade union policy and left the unions no chance of steering the strikes into calmer waters . So what formally looked like official action, in essence was not. Nor did the Labour Party and the various radical groups left of Labour ever have a chance of leading (or just of moderating) the struggles of the working class. The willingness to struggle, the readiness to sacrifice and the stamina simply stemmed from the social relations in a capitalist system, from the everyday situation of the working class situation, not from some kind of correct consciousness to be instilled in them. Consequently the various ‘left’ groups offering their help to the workers were not marching in front of the workers and even not behind, but on a completely different road. As far as the Labour Party is concerned, it claimed to oppose the Tory Bill, but wished to remain strictly within « democratic limits » the very moment that the parliamentary struggle against the Industrial Relations Act was definitely lost. 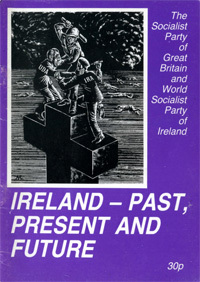 Though the Independent Labour Party said that the power to defeat the Bill was in the hands of the workers, it nevertheless declared that the workers had to fight for the unions, thus ignoring the inactivity of trade unions in past decades, and also completely forgetting that just as a result of this inactivity the number of unofficial strikes had grown immensely. Anyhow, an assault on the bastion of the Industrial Relations Act by the traditional organisations was out of question. At the same time the law remained without effect, because the workers did not respect it. In the developoment of their struggles the working class appeared to be ever stronger and bolder. 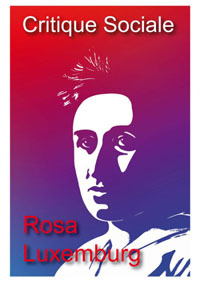 Workers learned to lead independent struggles with a speed which surprised both friend and foe. In the course of those turbulent years the miners went on strike again in 1974. Prime Minister Heath was not inclined to satisfy any of their demands. It was this inflexibility which led straight to the overthrow of his cabinet. No sinister plot, no political manoeuvre, nor any parliamentary action contributed to his downfall, just the threat of working-class power. Ever since, British capitalism has never really recovered from the blows it received from the autonomous working- class movement in three decades after the war. 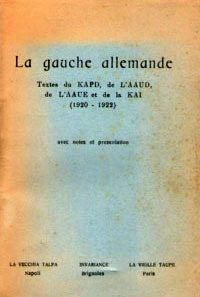 The historical analysis of the transformation of working-class struggles, of the role of trade unionism and the State, as presented in the book, ends in 1972 for the German version, in 1977 for the French version. 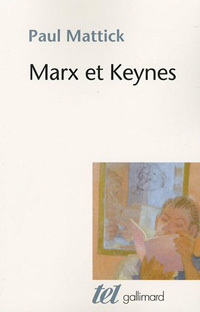 The general conclusion is that as British capitalism tumbles from crisis to even deeper crisis, new forms of class struggle have developed, sometimes very manifest, sometimes scarcely visible, for which traditional forms of mediation through trade unions and political parties/the State have increasingly lost all meaning. At the same time this is to say that former differences between the capitalist class, trade unions and the State have also lost all meaning for the workers. Wherever workers have fought since the mid-seventies, they were met by the united forces of capitalists, unions and the State. And this has certainly halted the forward march of the so-called labour organizations, but evidently not that of the working class. Indeed, identifying the working class and the « labour organizations » makes it patently impossible to understand this development at all. It will be hard not to be ‘partisan’ as a miner looking at this work since much of it deals with events in which the miners were central. This leads me to my first confusion with the pamphlet. Brendel is never quite clear whether he is talking about the miners’ union, the TUC or trade unions in general. 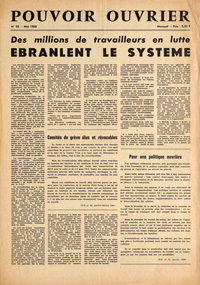 « The so-called union leaders wanted to put an end to the strike as soon as possible » (Page 1). This is true of the TUC leadership who sold out the strike within 8 days. It is NOT true of the miners’ union leadership who along with their heroic membership stayed out 7 and in some cases 8 months in extreme poverty and suffering. 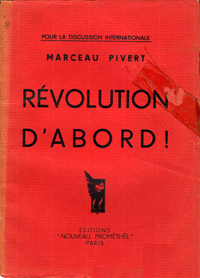 The assertion that in 1926 there were « no initiatives from the base » (page 1) is of course an absolute misreading (or non-reading) of history; the councils of action, the action teams (like ’84 hit squads), the workers’ take-overs of coal tips and outcrops, food co-ops and the derailment of the Flying Scotsman, to name just a few of the obvious ones which prove the lie to « no initiatives from the base ». A very bad insult to our mining veterans (like my Dad) who in ’26 faced down tanks and armed marines on the city streets and in pit villages. We could demonstrate in a thousand ways – mostly through health & safety, hours of work regulation, control of work places, that nationalised mines were not « just the same » as the private coal owners. The death and injury rate alone testify to this. However, we could at the same time point to two thousand reasons why nationalisation wasn’t « the dream come true » of the miners, not workers’ management, workers’ control, not even full and vigorous nationalisation actually, let alone socialism, but these are not contradictory statements; i.e. B) it wasn’t what we wanted, nothing like; no control, no direct authority passed to the union apparatus, never mind the men at large. We had to fight from the left. I’m afraid the author does not understand the sheer hatred of the coal owners (even in the form it was in) to nationalisation, and the joy, though this was also born of unfulfilled expectations by the miners for nationalisation; how will he understand our respective class hatreds and hostility and the universal dread which privatisation of the mines has for us now, despite 84/85. He surely does not think we still misunderstand ‘nationalisation’? It is not that we don’t understand ‘nationalisation’, only that we know and understand private direct capitalist coal ownership even better, and it is worse. We choose, if we must, the weakest enemy; the least oppressive, the one on which we can direct more pressure and obstruction. You will not find a miner in Britain to disagree with this. So nationalisation was not a sham, although it was nothing near what we wanted. It was certainly not « the same » as the coal owners, though ‘capitalism’ as such, in general, gained as much as the miners in the form of cheap fuel and easy profit from the supply of equipment and sale of the mineral (the NCB couldn’t sell home coal until 1983). But our specific enemy, the coal owner, lost out in general and we won something in general. Understanding THIS point is rather like the understanding of the question of the border in Ireland. Created in 1921 by the British, if you don’t understand the question and politics of the border you’ll never understand what’s going on, has gone on, and is going to go on in Ireland. You must get the nationalisation question right, as you demonstrate an ignorance of the miners themselves, and if you don’t understand the miners throughout this process the whole work becomes a pure abstraction, with certain historic factors thrown in which lack class continuity and understanding. The caricature of the British TUC as a cart-horse and slow plodding beast of burden was not a ‘symbol’ ‘we’ had chosen at all. 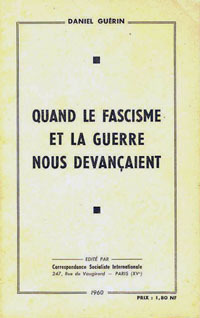 It was a caricature made up by the establishment press to create anti-union hostility after the war. 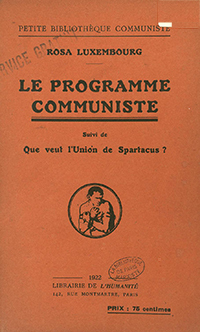 To actually use this caricature in a so-called progressive pamphlet is to use the bullets of the capitalist class against the workers’ organisations; these organisations do require shooting, but the workers will use their own bullets, and not use ones given them by the main enemy, the capitalists themselves. But this is small fry – the unions are and always were organs of bourgeois control??? The miners’ strike of ’26, organised by who? The « Dockers’ Tanner strike » of 1890, who? The 1913 Irish Transport strike which led to the 1916 Irish Rebellion, who? The miners’ union from 1800 to 1870 led and founded by chartists – « from the beginning instruments of capitalist order »!!! The struggle for the 8 hour day led by the engineers in the 1890’s and the watchword of the First International faced down with guns and jails « instruments of capitalist order » – you would actually need to take this man through our history from 1800 to the present day and MAKE HIM EAT EACH PAGE before you could suitably reply to such a crassly stupid comment. 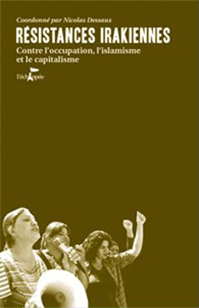 The unions ARE NOT instruments of capitalist order, they are defence organs of the working class, and attack organs of the working class, which have become bureaucratic in many cases, and are often used by the bureaucracy to hold back the struggle, but they don’t always succeed; and unions are catalysts in movements which go above, below and beyond them. This is why enemies of the working class HATE unions, not because the union per se is an instrument of revolution, but because it is essentially an organ of working class action which can at times transform itself through direct rank and file use and pressure into a revolutionary centre. The MFGB in 1926 was just such an example though our author comrade doesn’t see it. Likewise the movement of ’84/85 led by the NUM. Needless to say the events of ’72 and ’74 had the stamp of the NUM upon them, a TRADE UNION hardly instrument of bourgeois control. Let us take a subjective example, suppose Mr. Brendel had turned up during, say, the Chapwell Lodge derailment of the Flying Scotrsman in 1926, or the blocking of the M1 by the Doncaster NUM panel in 1984 and argued that « the miners’ union is an organ of capitalist control ». How would the rank and file miners, in serious conflict with the state at all levels, loyal to his/her miners’ union, respond to such a suggestion? I’ll tell you – « You are against my union, you are against my strike, you are against the working class. THUMP! You are the enemy! » The left in Britain suffered many such lessons from the class it had come to ‘educate’. « Union leaders are always on the other side of the fence » – NOT Jim Larkin, James Connolly, Martin Jude, Arthur Scargill, Joe Hill, Bill Heywood, Tom Mann, Jack Dash, Frank Little, A.J. Cook, Peter Heathfield, and a million more. All union leaders are not always on the other side of the fence. He can’t even get the union he is slagging off right – it was the GMWU, not TGWU at Pilkington’s. Perhaps he thinks 1 million members of the TGWU will simply excuse such an ignorant ‘mistake’? Rather like being arrested for murder because the real murderer had three letters in his name which match your own – quite understandable really. Really? Remember this is not some person thinking aloud, but a published book in at least two languages among people who by and large have no means of knowing the man is talking nonsense! 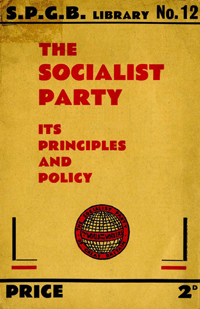 Incidently the idea of forming a ‘new union’ at Pilks came from the bloody SWP who after cranking up the strike, taking the men out of the (admittedly crap) union, helping them set up a new union, pissed off when the thunder went out of the strike and left the men not only blacklisted by the company – barred by the GMWU as well, ‘thanks comrade’. Our author suggests ‘the new union’ was a spontaneous rank and file idea. It wasn’t. There it is apocalypse one! The workers do not believe that the unions are the embodiment of the bible, the Wizard of Oz, or the path to the sugar candy mountain. Who told Mr. Brendel they did? 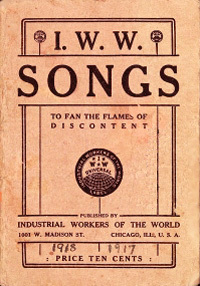 WE see the unions as a means of defending ourselves against the employers, getting relief for injury and death, pushing forward improvements in our conditions and, yes, if push comes to shove using the union in action as a means of changing society politically because: WHEN THE WORKING CLASS GET BEHIND THE WHEEL, IT DOESN’T MATTER WHAT IT SAYS ON THE FRONT OF THE BUS – WE WILL DRIVE IT, IF NOT AS FAR AND WHERE WE WANT TO GO, THEN AT LEAST AS FAR AS IT WILL TAKE US! This is the main difference between an outside commentator like Mr. Brendel and we, the people of whom he deems to write, because, yes, he has assumed to write on our behalf. His footnotes bear no description of discussion with mineworkers of this generation, nor the last, let alone asking the old folk of the ancient pit communities on the role, drawbacks and assistance the mineworkers’ union has given these last 172 years. 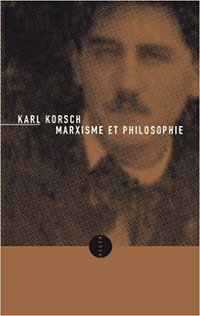 One should ponder long and hard on the following (last paragraph page 5): « Workers have never had clearly defined concepts guiding them. » It is true, but is this descriptive or prescriptive? Is this a failing then of the workers? If it is – who should define ‘the concepts’? Certainly not Mr. Brendel, because he does not understand the perspective of, for example, the miners over at least 100 years of their history. This statement alone cuts aside all theoretical differences, for in practice it says, ‘the struggle at plant, on farm or down the pit is not important to workers’. 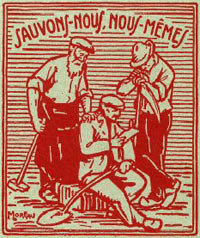 It must mean that, for it is the union who takes, for example, the unfair dismissal case, questions the lack of adequate breaks, attends the inquest of the dead miner or the compensation case for the builder with a split skull or the factory worker with an amputated leg, or the canteen worker with the scalded arm, who sorts out the problems left for the kids or partner where the breadwinner is killed or seriously injured? Who challenges the diseases and injurious substances introduced by the capitalist process? In all of this Brendel says the unions are important to capitalism but not the workers! I think we have the right to ask if this person has ever met or spoken to an industrial worker? Maybe he has, but it is quite clear he himself has never been one, for if he had it is for certain he would have joined the union BECAUSE IT WOULD BE IN HIS INTEREST TO DO SO, just like the other workers. This is why unions were formed, and why despite massive anti-union legislation they still exist. If Mr. Brendel went to work in a sweat shop because he needed the money, with unguarded machinery, and he lost a finger or a hand, the union would seek compensation and a change of working practices to ensure the safety of other workers. In such circumstances would he need the union more than the boss? I deem the answer to be so obvious that only a situationist would get it wrong. I myself was an activist in the unofficial miners’ movement of the middle and late 1960’s. I edited the revolutionary miners’ paper The Mineworker, and assisted with numerous other unofficial journals. 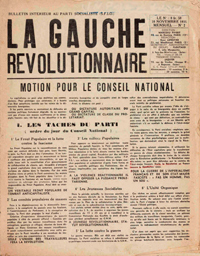 By the time of 1972 the unofficial movement had gained its head, it had won a number of constitutional victories without which the strike could not have got started, let alone been won. Everywhere it was the militant ‘unofficial’ leaders and activists who were now taking branch positions. The union was coming over en masse to the perspective of strike action. It is true the national leadership was against the strike, but the rank and file were running the union and the strike. At no time did we feel ‘the union’ was something other than ourselves, we were the union and we had wrested control back from the right wing bureaucrats, but the union was ours, not theirs. The impression given in the pamphlet is that the strike and the picketing was at odds with ‘the union’. How could this be so? We had held a successful national ballot and voted to strike. Each area and district appointed its own picket targets and picket plans, no-one could or did obstruct this process. 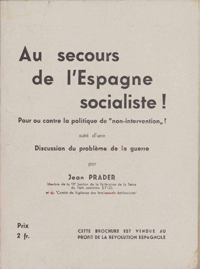 The union organised the picketing so praised by Brendel. Which « orders of the bureaucrats » did we refuse to follow? It would be interesting for comrade Brendel to actually tell us what he is talking about. I don’t understand the bit that says « out of 289 pits only 60 were kept up ». I presume this is a bad translation. I suppose he is saying 289 pits were on strike in 1972, but only 60 survived. If so, it’s true, but not because of the 1972 strike! We had a 1974 strike, and 1984/85 strike after that, before we got down to 60 pits and that happened after 1985 as a result of loosing our strike against pit closures. To stick this figure in here , in reference to the 1972 strike, is absurd and historically quite meaningless. Picketing of coal stocks and power stations was organised by the area and district levels of the union. It is simply a lie to say this was done against the union’s wishes. 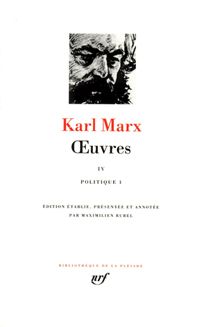 « Their dynamism and ambitions were astonishing, inspiring as much fear in the union leaders as in the bourgeoisie itself. » – Who is he talking about? Arthur Scargill, a union official, led the miners at Saltley Gate, Jack Dun, a union official, picketed the Thames in a Navy picket, blockading coal and ports. 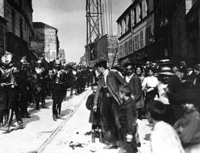 Union officials were present in each and every conflict; some were arrested, many were injured. Again Mr. Brendel’s assertions are simply untrue. The union organised the picket convoys (and paid the petrol, by the way). If Brendel’s whole thesis rests upon the myth that ‘the miners’ against the NUM organised and ran the whole strike, then the whole thing collapses as this is patently untrue; yes, the rank and file activists gained ground and captured control of the direction of the union, but it was the union they utilised to run the strike and win the strike. The miners are inseparable from the miners’ union, of which they are most proud. Why didn’t he ask any of us? It is hard to disagree with any of this because basically it’s just a straw man Brendel sets up to knock down again. I mean did he really think Jim Callaghan was spokesperson for ‘the left’? 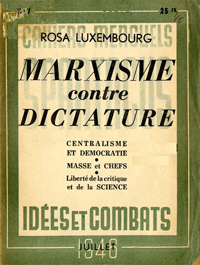 « These ‘democratic limits’ were the hallmarks of the left »? Really? If Jim Callaghan is seen as the ‘left’, well it’s not difficult to dispense with it really. The ILP? Socialist Leader? These are the authorities he cites as instrumental of the left in 1971??? Sorry, can’t really say I noticed much of those formations, the IMG maybe, the RSSF yes, the IS – but the ILP? I think not. The miners’ demonstration in London February 16, 1972 was a public warning to the government that we would carry the battle onto the capital city, and away from the confines of the industrial north where it had been acted out hitherto. In particular this demonstration was called following the death of the first miners’ picket (my fellow branch member Freddy Mathiews). It was a mass public warning that now « the gloves were off ». It was not in contradistinction to, or any alternative to, mass picketing. Both demonstration and picketing were organised by the miners, through the branches and districts of the union apparatus and not in defiance of that apparatus. The author simply ignores reality and historical fact in order to make events match his pre-ordained theory. He would make a good stalinist historian – in particular he wants to make the miners fit his scheme which says « the unions are organs of bourgeois society » and to contrast ‘the miners’ in abstract as being against their own union. But he can’t make a square form a circle and the history of the miners’ union since 1830 to 1985 defies him at every turn. It is only his wanton ignorance of our history which permits him to plod on page after page peddling a myth. Of course some of it he writes is true vis-a-vis the union leadership of the TGWU, and the TUC, and the shop stewards and union branches, but he just does not understand the relationship, never mind the structures. The imprisoned men were all union officials and proud to be so. They went to jail saying they were defending the union and the right to strike. They were not on strike against the union and you can’t make history say they were. As soon as those dockers were imprisoned an immediate meeting of the Doncaster NUM panel was called. The panel was an unofficial body bringing together 9 official NUM branches in Doncaster. They met and recommended to those branches that on the following Monday all nine pits would take strike action until the dockers were released. No sanction was asked for, or given by the official Yorkshire area of the NUM. None of the nine NUM branches who all voted to strike would consider they were somehow in struggle with the NUM or any other union. They were taking solidarity action for the dockers through the sructure of self-defence they had built and belonged to, i.e. the miners’ union. Comrade Brendel is too self-righteous to even make a stab at understanding such seemingly contradictory relationships. He doens’t even make a preamble that it was the miners’ strike of 1974 which brought Heath to ask the question. The ’74 strike was of course like the ’72 strike organised by the miners through the miners’ union. The real problems faced by the British Left and the Revolutionary Marxist Left in particular was one of a trade union taking political action, without political leadership (i.e. the kind offered by them) and bringing down a government. The far left parties failed to recruit from the victorious miners as they asked of the would-be vanguards « What do we need you for? 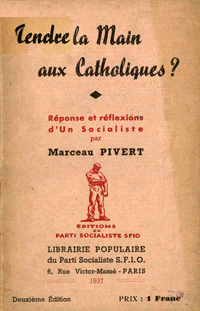 » The miners in ’74 and ’84 announced the heretical theory « the union is my party ». It rendered the revolutionary left redundant and at once to the right of the miners’ own perception of things. This is clearly all incompatible with the Brendel notion that the union is an organ of the bourgeoisie. Such a theory just does not match the reality of the miners’ struggle. As to his general theory of all unions being organs of the bourgeoisie nowhere does he shoot himself in the foot more spectacularly than in the 1975 government. The unions went to war with ‘their’ government, did they not? A mass wave of strikes, official and unofficial, ALL organised through union branches and shop steward committees, or through whole union apparatuses. This proved the workers’ offensive was through the unions, even if they had to kick start them, or march around the bureaucracies to get there. None of these disputes were against the unions. If they were they would have left the unions and formed something else, or just done any spontaneous thing which seemed like a good idea at the time. Sorry, the offensive of ’75 to the defeat of the Callaghan government was organised and disciplined, and fun and serious, but always in and around and through the union structure, albeit kicking and punching to get through and rolling the bureaucrats before it. 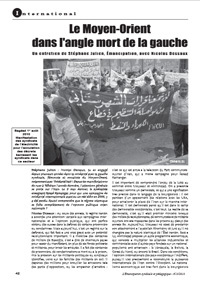 It was nonetheless trade union action, taken by workers in their trade unions. You can’t make the facts say anything different, despite the preconceived theory that they should. The 8-week strike by the toolmakers at British Leyland was indeed directed at the leadership of the AEUW which had eaten up the toolmakers’ craft union somewhat earlier. The toolmakers kept their historic reference to each other and their own rank and file section of the union organised the 8-week stoppage. It was a rebellion of the toolmakers’ section of the AEUW against British Leyland management and the AEUW bureaucracy tied cheek by jowl to the Labour government – but we see this as part of the trade union/working class struggle. Brendel wants to make this something outside of and apart from trade unions. He can’t. 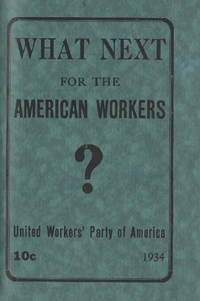 Because the very dispute was over the craft toolmakers’ desire to maintain a craft trade differential over other section of the workforce, which the union was committed to reduce. The policy of reducing craft differentials may or may not be progressive. The struggle of the toolmakers to maintain those differentials may or may not be progressive, though personally I doubt it. What cannot be said is that a craft section of the working class striking to preserve its historic pecking order over other sections of the workforce, through its amalgamated toolmakers’ section, is an example of class conscious autonomous workers fighting the union as an organ of the bourgeoisie. A) Unions are organs of the bourgeoisie. C) Unions cannot be used by the members to act the way they themselves perceive, despite their wage-slavery traditions. Not to understand the way in which ordinary working class people use unions and take unions into conflict not simply with employers, but sometimes with the state itself, is to make the same principal error of the ‘Leninists’. 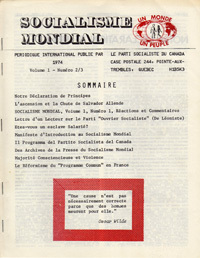 Brendel, presumably a situationist, and the Leninists make out a role for trade unions, a classic carved in stone role. The workers on the other hand, who belong to this union, whose lives, welfare and wages depend on this union, see no role carved in stone. They see an organisation supposedly theirs, and for this reason they will use it, and have make it go where no union has ever went before or they will take this structure and ram it so hard up against the state (as in the miners’ strike of ’84/85) it will stop being a simple ‘trade union’ of leninist design or situationist fable – this is the true lesson of class struggle in Britain ’45-’77 and since. Brendel misses an essential revolutionary point, although he seems to make it. 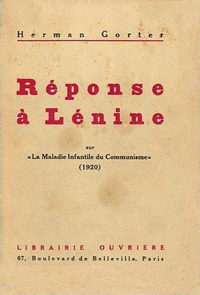 Namely that the intervention of people themselves into organisations will transform, amend, or destroy those organisations – not what formally is written in the rule book, not what Lenin said was the classic role of the trade union, but how can we transform and improve our lives. This is the watchword of the worker in the trade union, an organisation he sees both as an obstacle at times , and a means to his/her progress. What is also true, is that if you don’t understand the relationship of the British working class to its trade unions, you don’t understand the British working class. To criticize a text which only is a very brief summary of an original book at least six times longer, a summary which is non-authorized, which the book’s author didn’t even see before it was published and which made him frown many times, to critize such a text carries certain risks. Pitfalls are looming. It can easily happen that the criticism has very little to do with the author’s position and explanations. And this is just what happened to you when putting « Some thoughts … » on paper. You have been fighting not against my opinions, but against views I never held. Unfortunately the mere fact that the publishers of the pamphlet made it perfectly clear that it was a summary you had in your hands has not been a warning to you. So even if I am convinced that fundamentally your misunderstandings are the unavoidable result of your position as a trade union man, even if I am not convinced that there would have been less misunderstandings if you knew the original book (just for the same reasons), we do have to keep in mind that your critical remarks are partly justified as being provoked by the result of others’ bad summarizing. 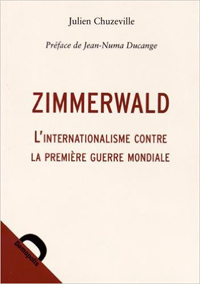 A few remarks on the very bad summary of the original book first: Some paragraphs are translated almost word by word, and sometimes footnotes without special interest have been integrated; on the other hand the contents of several dozen pages of the book are not even mentioned. 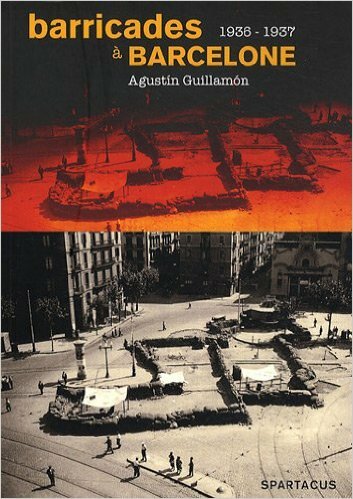 For instance the chapters dealing with political matters are largely summed up, but the chapters concerning the social struggles very shortly. Besides there’s the strange way this summing up was done, translating part of the sentences and jumping over two or three sentences to connect directly with another part of the paragraph. One of the best examples is given on p. 1 of the summary (last paragraph). 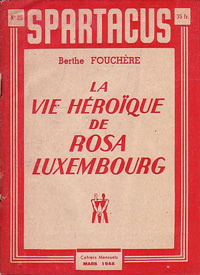 Here five different chapters of the book – one dealing in general with the 1926 general strike – are concentrated on one page. In the named chapter in the original book some words concerning ‘initiatives from the base’ had a specific meaning in the general context. The summary, however, gives the impression that these words refer to the miners and their union. This allowed you to head off into your diatribe against something not to be found in the original book. 1. Dealing with the strike at Pilkington’s (1970) you say that I was guilty of « even » mixing up the unions involved: « … it was the GMWU and not the TGWU at Pilkington’s … ». Sure, it was Lord Cooper’s General and Municipal Workers Union, and so the reader has been told in the original book. By the way: If somebody could be charged with mixing up things or confusing facts, it’s certainly not me but you, Mr. Douglass, asserting « the offensive of 1975 » led « to the defeat of the Callaghan government » though in ’75 Wilson was prime minister, not Callaghan. 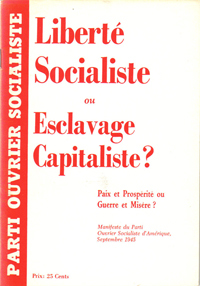 Also youu apparently refer to the « winter of discontent » of 1978 saying that « the unions went to war in ’75 ». I would be interested to know when and where the unions did so in 1975. 2. Dealing with Heath’s question « Who governs Britain? » you say: « He (Brendel) doesn’t even make a preamble that it was the miners’ strike of 1974 which brought Heath to ask the question. » Again you are wrong. While the miners’ strike is ignored in the summarizing pamphlet, this is certainly not so in the original book. 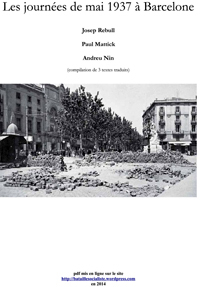 In my book I have tried to explain that the miners, if not in words but by their strike, in fact gave a clear answer to the question of the Prime Minister, and that this answer was: « In any case not you! » To add another word of clarification: While having clear positions towards the Tories, I have always had an equally clear (i.e. totally negative) position towards Labour. Never in my life have I been silly enough to bank on the left turns in the Labour Party as you evidently did not so long ago (or possibly are still doing). 3. Mr. Brendel’s footnotes, you say, « bear no description of discussion with mineworkers from this generation … ». These words sound a little bit strange, considering that in the pamphlet there are no footnotes at all – while there are plenty of footnotes in the original book. As for the author’s discussions with British workers and mineworkers in particular you are utterly wrong again. Among lots of other contacts (in part mentioned and in part not mentioned in the original book) the reader of my book is informed about discussions I had in 1947 in the South Wales mining village of Senghenedd with miners from (the now closed) Windsor Colliery in Abertridwr. And by the way: I am absolutely certain there must be many British trade union officials who have had much less discussions with British workers (even workers of their union) than I have had. I could go on and on to demonstrate the uselessness of your criticism directed against someone else’s bad summary of my book, but not against the book itself. But this leads us nowhere. I hope you don’t mind if I insert here some information on my life and my political position, not only because it might tell you something about why I wrote the book about autonomous class struggles in Great Britain, but also to rectify your completely false ideas about my background. There is only one thing you guessed correctly: I wasn’t born in a working class family. But the misery of the thirties, the deep depression, the bankruptcy of my father in those days and the resulting poverty of my family roused my interest in social phenomena. I was 16 years old then, and very soon I realized that I should look to Britain, birthplace of modern capitalism, if I really wished to understand the origins of modern social contradictions and the significance of the labour movement. From that time onward Ipored over all the books on the subject the libraries could provide. « Wisdom from books! » I hear you say. If this may be right in part, it is not the whole truth. At 19 I left the lower middle-class house of my parents and lived for a couple of years in a working-class district. My landlord was a worker, I was surrounded by working-class families, I had only working-class friends. This has been some kind of education for me, not to say ‘my university’! I always remained true to the opinions I had formed during my years in the midst of my working-class friends. For a short time I worked in a factory, but most of the time I was on the dole. It was only in the middle of the forties that I couldmake a better living. It was not before 1947 that I was able to go to Britain. In the following years I came back many times, making contacts not with miners only, but with various other members of the working class. After these introductory remarks I will now turn to what you say about trade unions. What, then, is the fundamental difference between our views of the trade unions? What precisely is the function of a trade union in a capitalist society like Great Britain? Let us start by looking at a very fine remark once made by William Morris, the author of « News from Nowhere » and « Lecture on Socialism », a man whom you will hardly call an enemy of the working class. 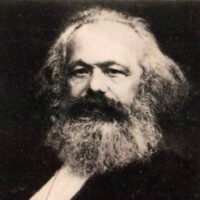 In 1885 he expressed the view that the unions don’t ‘represent the whole class of workers as working men but rather are charged with the office of keeping the human part of the capitalists’ machinery in good working order and freeing it from any grit of discontent’. I do not hesitate to say that I completely agree with what he says. What’s behind Morris’ definition? 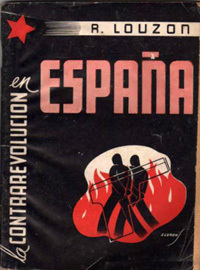 The undeniable fact that from the very first day of their existence unions have had the task of mediating between capitalists and workers, mediating of course in order to extinguish the flames of conflict between the two parties, not to kindle the fire by pouring oil into it, mediating in order to stabilize the antagonistic relationship of workers and capitalists, not to destroy it. (In the long run this is certainly a completely futile task, but I will say more about this later on.) In this sense the origin of trade unions, contrary to what you seem to believe, has nothing to do with the simple defence of working class people or workers’ rights. 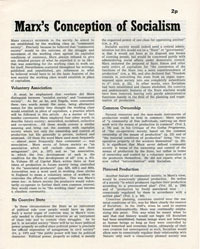 Not a single union would ever have been accepted for a single day by any capitalist or any employers’ association as a partner in discussions if it had not shown its capacity of operating a combination of defending and integrating workers, or, to be more precise, of integrating them into the capitalist system by defending them to a certain extent and with regard to specific problems. On the other hand not a single union would ever have been accepted for a single day by any worker or any group of workers if it had not defended them to a certain extent and with regard to specific problems. That’s what mediation means. That’s what the Webbs called ‘industrial diplomacy’. That’s what another writer defined as ‘the art of making common cause’. Anybody looking for a perfect illustration of the mediating, stabilizing role of trade unions would have to look first and foremost to the history of trade unionism. Listen, for example, to the British historian William Lecky, who stated late in the 19th century that « the biggest, richest and best organized trade unions contributed a lot to decrease the number of social conflicts ». And listen to the Webbs again who made a similar conclusion: « Before the trade unions became a recognised institution and a normal phenomenon there was more labour unrest in Britain as after that. » Does anybody want to deny this? Certainly this will be totally impossible for the coalmining industry. Let us therefore turn to the historical beginnings of your trade union. From your letter I rather got the impression that you claim to be an authority on matters of the history of your union from 1800 to the present day. Well, if this be so, may I submit the following passage from a book by K. Burgess (The Origins of British Industrial Relations, London 1975) for your consideration? But this is really nothing against the early history of trade unionism in the North East and West Yorkshire, two regions in which district unionism and collective bargaining were firmly established at an early date. The struggle for the eight-hour day may have been led by the engineers in the 1890s, but certainly not by the district unions in the British coal industry. To tell the simple truth, such apostles of trade unionism among miners like Burt in Northumberland and Crawford in Durham were so busy getting their unions confirmed by employers and to enter into amicable relations of conciliation and arbitration with them that they clearly opposed any proposals for a legally enacted eight-hour day for hewers (guess why just the hewers!). At the same time they were generally hostile to restricting output, wildcat strikes, sabotage etc. which have all been common instruments of working-class struggle before the forming of unions. In fact, forming new districts seems to have been regularly accompanied by taking a first vote on outlawing what union leaders disdained as ‘coming out on strike in an unconstitutional way’ and then preaching miners for decades how utterly wrong they were in sticking to the old habits of unofficial strikes etc.. The downhill path of the early history of trade unionism in coalmining is littered with the most sordid stories of unions trying hard to put out the fires in the coalfields, just to be able to get down to the « real » business of conciliation and arbitration. Anybody who wishes some basic information on the mentality and practice of union leaders in this respect as well as their contempt for workers should be encouraged to read the authoritative books by J. Wilson (A History of the Durham Miners’ Association, 1870-1904, Durham 1907) and by E. Welbourne (The Miners’ Unions of Northumberland and Durham, Cambridge 1923). It was therefore the principal task of the trade union, Wilson goes on to tell us throughout his thought-inspiring book, to change this regrettable state of affairs so that henceforth cooperation and mutual trust (and eternal peace) should prevail in the industrial world. I readily admit that by no means it was the fault of the mineworkers’ union if it failed in this respect. Nonetheless I am truly convinced that Wilson’s formulations offer valuable insights into the principles of trade union policy and that not many people have stated the matter as clearly and succinctly as he did. The very existence of trade unions presupposes the antagonism of capitalists and workers (otherwise there would be no need for mediation) and at the same time it requires a basic attitude of ignoring the antagonism on the part of trade unionists (the enmity between the classes is nothing but a foolish idea, just think of it!) and starting a wild and fundamentally misled search for areas of « common interest » (otherwise there would be no scope for mediation). We are touching here on a matter of central importance for any discussion of trade unionism – the limits (as well as the self-deceit) of trade unions and union representatives. I will have to explain this in detail to avoid more misunderstandings. In your critique of a text which I have not written you try to present some cases of what you seem to regard as major achievements of the trade union movement – taking up the unfair dismissal case, questioning the lack of adequate breaks, attending the inquest of the dead miner or the compensation case for the builder with a split skull or the factory worker with an amputated leg or the canteen worker with the scalded arm etc. etc. Let us just take the compensation case as an example: Do you really want me (or anybody else) to believe that anyone could possibly be interested in compensation? Parents whose child has been run over by a car could be interested in « compensation »? The family of a miner who has been killed in a mine accident could be interested in « compensation »? If I lost a finger or a hand because of unsafe machinery I could be interested in « compensation »? You must be joking … or you must be one of these many union officials completely out of touch with reality to sincerely believe in such nonsense. Everybody will surely take « compensation » because it would be stupid not to do so once it is available, and because a few dirty bucks for the life of a human being or for a lost hand are better than nothing at all. But if it comes to the question of what people are interested in, then it is definitely not « compensation ». I want all my ten fingers and both hands, I want to be perfectly healthy as well, and if I am in danger of being hurt or mutilated by any unsafe machinery, then I want this machinery not to be used until it is completely safe (can you imagine what would happen in the coalmining industry of today if you made this a rule?). Parents want their children alive and kicking, and traffic conditions in which children can’t possibly be killed at all. Miners’ families want a decent life and ways of earning it without risking your life or your health or being in constant danger of losing your lousy job (don’t try to tell me that your union has achieved this or that it has come any closer to a solution in 172 years). I could go on endlessly like this. 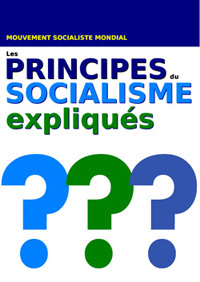 Whatever problem you may touch upon, you will always find trade union policies guided by the same sort of principle – ignore that capitalists and workers are natural enemies, ignore the essential social problems produced by this enmity, ignore the fundamental interests and tendencies of destroying class relations, just stick to the business of handing out the peanuts of « compensation ». Such « compensation » normally comes in the guise of meagre pay rises and in fact never does really compensate for anything. Capitalists wouldn’t even be prepared to let you as a trade union bargain for true compensation. All you can possibly bargain for with capitalists, whether they call themselves Powell Duffryn or NCB, is peanuts. To this I have nothing to add, except that things evidently have not changed very much since the 19th century and that labour costs can even be passed on much more easily to the consumers right now because of the much lower labour content of product units as compared with the 19th century. We know only too well that no union would ever dare to bring up the question of exploitation in discussion with employers or to make it a focus of its struggle. Exploitation doesn’t concern you, just let it take its course as employers may see fit. You simply take the value of labour power for granted (granted by class relations between the natural enemies, as it is) and, proceeding from there, you restrict yourselves to some help in settling the current market price of labour power on a national, regional or local scale. That’s what I mean by talking about the limits of trade unionism. And don’t tell me anything about the reduction of working hours to 40, 35 or 30 hours per week. 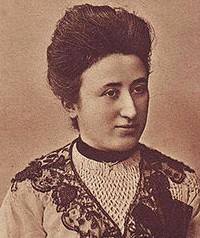 As Rosa Luxemburg once remarked, you won’t sweeten the ocean of capitalist bitterness in any noticeable way by adding a few teaspoons of syrup from time to time. Some mainstream French sociologists, no radicals, mind you, have calculated a couple of years ago that present standards of living could be easily maintained with 10 (in words: ten!) hours work per week. Guess what the rest of the work week as you have it now might be good for. So a very practical MINER’S NEXT STEP for your union might be to demand the ten-hour week with a doubling or quadrupling of pay rates. Evidently your union today is just as much against this next step as the union of Crawford, Burt and their likes was against the eight-hour day, and the reasons are still the same: Don’t rock the boat, brother! As enlightened people and capable of learning from history we know very well that it’s the trade unions alone sitting in this boat. Capitalists and workers as natural enemies never sat together in a boat anyway. If I understand the post-war history of the British working-class correctly (and there are certainly no reasons why I should understand it less correctly than you as a British union official do), then it could be summarized by a very simple and general formula: less work, more pay. In this respect as in all other matters of fundamental importance the trade unions are simply unable to deliver the goods. We shouldn’t be too much surprised therefore if the gap between the working class and the trade union organizations keeps widening. In fact there has already been a very wide gap in 1947 when the Grimethorpe miners were taken to the courts and the union’s secretary Arthur Horner appeared as a witness for the prosecution. I am convinced that the MFGB/NUM with its dreary record of the twenties, thirties and and forties (not to speak again of earlier decades) would have been lost a long time ago if it hadn’t been for the unofficial movement of the fifties and the sixties. In Great Britain almost the entire responsibility of mediating between capitalists and workers at the place of work clearly rested on the shoulders of shop stewards and the unofficial movement in general for more than two decades, not only in the coalmining industry, but in other branches of major importance as well. Whether you would wish to range this Horner, for example, under wicked union leaders – as you do with the TUC leadership during the 1926 strike or maybe even later – or under the so-called good ones is not entirely clear to me. You seem to use different spectacles when looking at the TUC, at individual trade unions or at the MFGB/NUM in particular. Brendel, you say, « is never quite clear in this repsect. Well, maybe your spectacles need a bit of polishing. Brendel doesn’t make this distinction between ‘good’ and ‘bad’ (or, for that matter, ‘left’ and ‘right’) union leadership because such a distinction overlooks the fact that union policy isn’t determined by the leaders, their various characters and leanings, but that their action and this policy is determined by the role and the function of trade unionism as an institution of capitalism. As institutions, whatever trade union leaders, ‘left’ or ‘right’, may fancy as their specific master plan, trade unions aim at stabilizing capitalist production relations. On the other hand workers don’t! 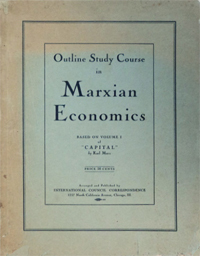 Simply because of their position in production relations, in the relations between capitalists and workers, any of their actions tends to interfere with the existing order, and for this to happen they do not even need to have clearly defined concepts to guide them, they just need their workplace situation, the daily experience of class, and this will unfailingly guide them in the right direction. You have concluded your text with a very pertinent remark, going straight to the core of the problem: « If you (i.e. Brendel and the rest of the world) don’t understand the relationship of the British working class to its trade unions, you don’t understand the British working class. » How about applying this wisdom to yourself? If you don’t know about the permanent conflict between the workers and ‘their’ trade unions in Britain, then you haven’t understood anything about the British working class at all. That’s the well-documented truth not of the awful summary you used for your criticism, but of my book which you never saw. After this discussion of trade unions in Britain I wish to finish by mentioning two more matters of secondary importance. To start with: I am not one of these people you seem to hate so much, I am not a damned Leninist, Stalinist or Trotskyist, nor am I an ignorant situationist, and I never was. The astonishing rashness with which you conjure these political tendencies up as being my favourites (on no more than four pages of your article I am suspected to be part of all of these aberrations one after the other) makes one gape in admiration, an admiration very similar to that of those simple Spanish farmers watching the noble knight Don Quixote fighting his lonely fight against the windmills. Even if they don’t figure in your wild guesses, I have been part of the council communist movement for more than fifty years now. 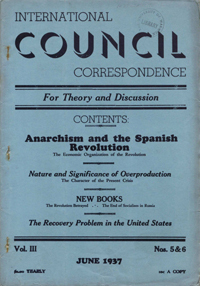 Council communism is a variant of communism, as you may have heard already, which has absolutely nothing to do with the fictitious « communism » of Lenin, his bolsheviks, and their Stalinist as well as Trotskyist heirs, Maoists included. 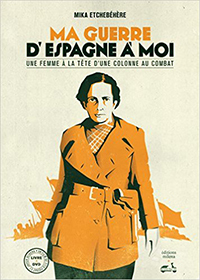 Your passing remark that I « would make a good stalinist historian », even if referring to a pamphlet I never wrote and certainly not referring to what I did write, is just sheer proof of your ignorance, of your tendency to denounce and not to argue. Let me just add a final word: It has always been my point of view that workers themselves know better than anybody else or any sort of group or organisation what’s good for them and what their interests are. I don’t write or speak for them, neither am I (or have I ever been) inclined to act as vanguard groups always do, namely: to tell them from the height of some ivory tower what’s « wrong » with their action and ideas, what they should do to win, or that sort of absurd chatter. I have never sold leaflets or papers on a picketline or to sit-down strikers because I know too well that struggling workers have more important things to do than read an outsider’s comment upon what they should do or what they keep forgetting to do. I never gave any worker any advice how to act. I never taught or preached and I always tried to learn from workers. And this, my dear Sir, is the big difference between someone like me and any trade union official. 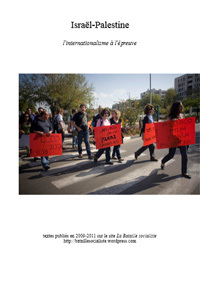 The interesting pamphlet « A year of our lives. A colliery in the great coal strike 1984/85 » contains a « Strike newsletter no. 1 » with you signing as the author. As anybody can see it is not the rank and file that begins to speak here, but it’s union officials adressing the miners and telling them what’s good for them. That’s the style you prefer! That’s the arrogant and ill-founded attitude of « we as a trade union know what’s good for miners and without us they would be lost anyway ». After a lifetime of being linked up with the labour movement (and not only the Dutch one), after a long time of studying class conflicts, and after many visits to Great Britain I do not pretend to know everything about the British working class. I leave this silly business of « I know all about it and everybody else not agreeing with me just shows his wanton ignorance of class history » to others. Remember how we the Left took over in the union and woke the miners up to regaining their old pride as class fighters in the fore of the working class? This is the kind of self-congratulatory myth (if it is not just plain party gossip) peddled by middle-aged trade-union officials like David Douglass having risen in the union hierarchy during the seventies and eighties. In his words, the 1969 strike « swept aside the old union leadership and gave birth to a new, ‘left’, leadership » (D. Douglass/J. Krieger, A Miner’s Life, London 1983, p. 89). 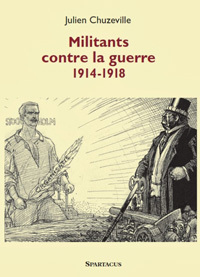 In 1972 the miners were reborn because it was « a renaissance of general class militancy muffled and shuffling for 40 years prior » (p. 90), and the prime instrument of their struggle were the miners’ panels, a kind of joint shop stewards’ committees or « quasi-soviets » (p. 91). But that was not yet all. 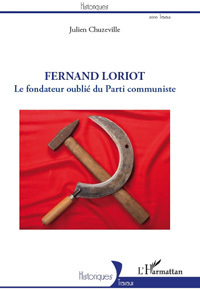 Parallel to the victory of the miners, « the Left inside the Labour Party started to gain ground ». 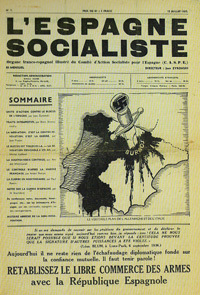 The unmistakable sign for this advance was the programme of nationalizations passed at the National Conference. But even more important was « the really big vote for the nationalizations of one hundred monopolies without compensation and under workers’ control ». The motion was not actually passed, but « the vote in favour was very significant » (p. 98) . Happy memories of Britain on the brink of being voted into socialism first phase of communism by Labour Party Conference delegates – pushed by radical shop stewards acting in the image of soviets! This is the kind of sermon Douglass preaches at the open grave of a crippled trade unionism (and its ugly twin sister, the Labour Party), faithfully sticking to the old Roman tradition of saying only nice things about the dead. And as things go, some of the funeral guests, like us, are not nearly as much professionally deformed and deeply moved as the preacher himself. Nor do we have any particular reason at all to let ourselves be carried away like that by memories of a past that never was. But before we enter into any detail regarding the post-war history of the shop stewards’ movement, I would like to say a few words about nationalisation and its effects on the life of miners, because the nationalisation of mines has been the background for class struggles in this industry in the years after the Second World War. No, under nationalisation it wasn’t the same as before, in every possible respect it was infinitely worse than anything miners had suffered from private coal owners. The NCB was definitely not the weakest enemy, not the least oppressive, not the one on which the union could direct more pressure and obstruction. On all counts the exact opposite is true, although it is perfectly correct to say that the NUM has permanently acted as if it wasn’t. There was a time (in the nineteen-twenties) when the coalmining industry of Great Britain offered 1.2 million jobs, and even around the time Douglass was born there might still have been some 700,000. What’s left of it now? What’s going to be left of it in a couple of years? And what do you think is going to be left of the miners’ union ten years on or so (I don’t care if it lasts ten years longer) with a few thousand miners doing all the work? What has the glorious miners’ union done to prevent the shedding of more than a million jobs in this industry alone? What has Dave Douglass’ union – with all its supposedly shining examples of trade union leadership like A.J. Cook, Arthur Scargill, Peter Heathfield « and a million more » as he loves to say – done to put a brake on the rapid mechanization and automation of mines? What has the miners’ union (or any other union for that matter) done to stop the frantic accumulation of capital in the coalmining industry, with the most frantic developments having clearly occured under nationalisation in the post-war period? Well, this is of course not the business of any union, and it never has been. Instead they are dealing with the more « practical » business of « compensation » for more exploitation (most rapid rises in the post-war period under nationalisation! ), for more intensification of work (again most rapid rises in the post-war period under nationalisation! ), for more health risks and accidents (although fatal accidents have declined, the so-called over-3-day injuries have shot up in the post-war period under nationalisation!). 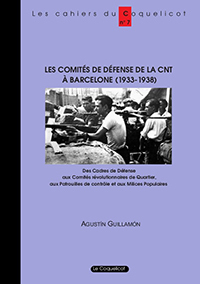 In a footnote the authors added: « Although only a half-dozen men in Ashton itself are winding-enginemen, the best remembered example of this feature is the ‘Winders’ Strike of December 1952, when the N.U.M. sought to supply substitute winding men from areas outside Yorkshire to maintain production. » (N. Dennis/F. 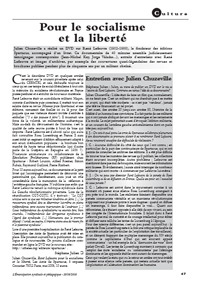 Henriques/C. Slaughter, Coal Is Our Life. An analysis of a Yorkshire mining community, 2nd ed., London 1969, p. 113) Dozens of other studies have come to very similar conclusions about the NUM. You will probably find most of them in a good union library (or are they all on a list of banned books with restricted access for union officials in order not to unduly disturb them in their soft dreams of harmonious union-management relations?). You could also ask some of the million miners and more who have been thrown out of the coal industry since the twenties. Or you could ask the vast majority of union members still remaining in the industry who are no longer wasting their time by going to useless branch meetings. 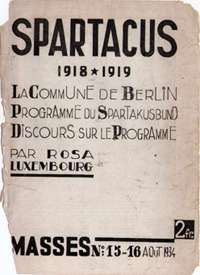 In the face of such developments – infinitely more brutal attacks on miners under nationalisation and increasing union-management collusion – it comes as no surprise that there was an explosion of unofficial strikes in the post-war period, normally involving small groups fighting for very specific local purposes and mostly staying out only a short time. It also comes as no surprise that nationalisation did not sufficiently motivate miners to put aside or to make less use of such traditional weapons of self-defence as go-slows, output restriction, absenteeism, sabotage etc. Quite the contrary. The history of this unofficial movement, very often directed against the official trade union structure, has not yet been written. Douglass’ own book written in collaboration with Joel Krieger (A Miner’s Life, London 1983) contains a wealth of interesting information but is not even a beginning of such a history. I must refrain from critizing it here although there would be a lot to say about it. Suffice it to say that by far the strangest bit concerns his visions and hopes (as expressed in 1982) of a left turn in the Labour Party. As if the many left turns or right turns in this party had ever changed its fundamental policy of assault on the working class wherever possible in past decades. Back to the miners: I can’t even try to briefly sketch the history of the unofficial movement as I see it, given the limits of this short comment. So I just have to single out a few problems of greater importance and deal with them as best as I can. One of the more fundamental problems seems to be the meaning of trade union reform in the latter half of the sixties and how this has been a result and a further cause of changed relations between the unofficial leaders (mainly shop stewards) and the workers. Up to 1966 the behaviour of the shop stewards was governed by the daily piece-work negotiations and the negotiations around conditions of work. The frequent disputes associated with that system would have arisen even if there had been no stewards. When piecework was abolished by the NPLA the steward’s job changed considerably. The tightening of internal management controls and the introduction of new payment systems, job evaluation structures, productivity agreements and formalised negotiating and disciplinary procedures often reduced significantly the scope for bargaining by individual shop stewards at the workplace. These strategies have basically failed to produce the desired results (as we know for example from the research done by Joel Krieger, published in his book Undermining Capitalism. State Ownership and the Dialectic of Control in the British Coal Industry, London-Sydney 1983), although this was clearly not a matter of resistance from the shop stewards. Negotiations on workplace matters slowly became a far more centralised process, often involving the application to individual issues of an explicit set of ‘rationalised’ principles. But in the main this did not – as the Donovan Commission anticipated in its study on trade union reform – become the responsibility of full-time officials from outside the company. 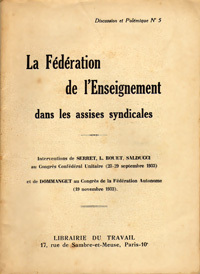 Rather, the introduction and operation of centralised and formalised bargaining arrangements was the responsibility of a new layer of full-time convenors and shop stewards. This in itself is interesting enough. The number of such full-time convenors and shop stewards, it would appear, quadrupled in the British industry during the 1970s, now greatly exceeding the number of ordinary trade union officials. 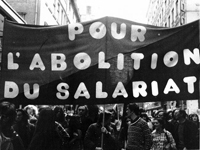 While a considerable detachment between workplace organisation and the branch-based decision-making machinery of the unions may have existed in the past, there were extensive changes in the late 1960s and during the 1970s. They were often carried through under the quite misleading slogan of greater union democracy. In some cases workplace leaders were given an official role within union organisations, e.g. becoming represented on many national negotiating bodies. 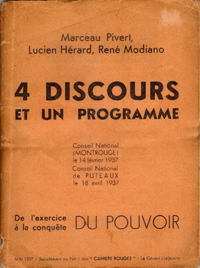 Unions created industrial committees and conferences composed of workplace activists. 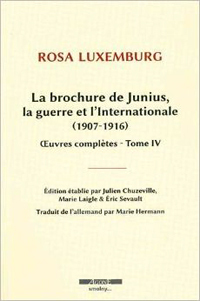 Rulebooks began to define the rights and obligations of convenors and joint shop stewards’ committees. Education and training schemes for shop stewards (typically emphasising the importance of negotiating expertise and orderly procedure) burgeoned. In short, this was all part of a development leading fast to a significant degree of integration between steward hierarchies and official trade union structures. The unofficial movement certainly did not cease to exist. 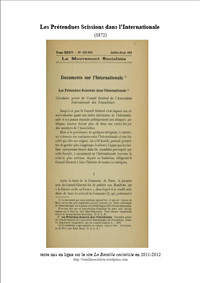 It was, however, from now on increasingly directed not only against management, but also against the bureaucratised shop stewards movement as an integrated part of the trade union structure. What do I mean by the ‘bureaucratisation of the shop stewards movement’? There are a number of aspects worth mentioning. The elimination of piece working, the wage freeze and incomes policy, and the move towards productivity deals, especially if connected with tendencies of tranferring bargaining to a company-wide level, necessarily took away the power of the ordinary shop stewards. At the same time a substantial stratum of (more or less) full-time senior shop stewards emerged, wielding considerable power within their workplace organisations, and performing a key mediating role between employers, union officials and ‘first-line’ shop stewards. This trend towards the consolidation of a hierarchy within shop stewards organisations was paralleled by a centralisation of control within stewards’ organisations. Originally, joint shop stewards’ committees tended to fulfill the functions of co-ordination rather than control, to depend on the voluntary agreement of the various sections and their representatives rather than sanctions. Gradually, it became far more common for such committees to exercise a disciplinary role, forcing dissident sections of the membership or of the committees into line. But at the same time, the cadre of full-time or almost full-time stewards within a committee often possessed the authority and the informational and organisational resources to ensure that their own recommendations would be accepted as policy by the stewards’ body. On top of this comes what has been described as the corruption of the shop stewards. There can be no doubt that under the new system the shop steward’s job could be very easy, with no supervision by management and no hassles about things like time-keeping. Normally stewards were provided with an office by the employer, and it was entirely up to them if they were sitting in there all day drinking tea or if they worked hard. In particular full-time convenors were extremely privileged by a very convenient practice of payment emerging in the period of the social contract policy – 100 per cent earnings plus bonus plus night premiums plus unlimited time off site. Who could under such circumstances be surprised about British workers standing by and not moving an inch on the many occasions when ‘their’ convenors or full-time stewards were chased out of the plant by the employer? And who wants to tell us that the integration of shop stewards into a more or less streamlined union machine, irrespective of any left or right tendencies, did not profoundly alter relations between workers and shop stewards? It is really amazing how Douglass manages to write so enthusiastically about the unofficial movement, i.e. the shop stewards (the Left? 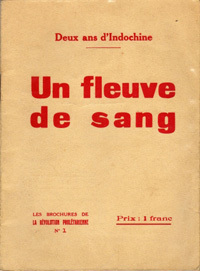 ), taking over in the union to force it on the course of official strikes in 1972 and 1974, and at the same time to remain dead silent about the transformation of the role of shop stewards at plant level, turning them into a major element of a policy of establishing a new plant consensus (and thuIt is reassuring, no doubt, to see that this policy has failed as well, in spite of all the unswerving dedication of shop stewards and convenors in making it work. The formalisation of procedures and the rise of consultation/participation (linked to the more and more widespread use of the check-off system) has been of overriding importance in this respect. Procedural machinery itself contained a higher element of common interest. If the parties were aware that they must make rules to regulate conditions of work, they were not only committed to machinery for making these rules, but also to machinery for applying and interpreting them. They were also committed to some means of dealing with grievances, whether these were likely to be formulated into collective agreements of a formal kind or not. This was finally bound to increase the area of joint consultation in which management took union officials and shop stewards more into their confidence in order to broaden the basis of understanding between the parties. Expressed in very general terms, procedures were ‘both treaties of peace and devices for the avoidance of war’ between shop stewards/union officials and managements, as a specialist in industrial relations studies so nicely put it. In the sense that they led to the establishment of substantive agreements, they were instruments of legislation about terms and conditions of employment. In the sense that they handled grievances, they were devices for hearing appeals. And in the sense that they attempted, by consultation, to involve the shop stewards and other union officials into the affairs of management, they were educational, persuasive forces. But while procedural machinery and the participation of shop stewards in procedure and consultation spread like wildfire, workers and managements remained what they always had been and always will be – natural enemies. So are we really expected to believe that the miners are inseparable from the miners’ union, as Douglass tells us? The union which regards nationalisation as something in which coal owners lost out in general and miners gained a better life? The union which has continuously acted as if the NCB were in fact the weakest and least oppressive enemy? The union which knows nothing about surplus value and exploitation and doesn’t care about it? The union which has watched helplessly (or disinterestedly – that doesn’t make a difference) the slashing of more than a million jobs in the coalmining industry? The union which has integrated the bureaucratised shop stewards movement into a more or less streamlined and absolutely hierarchical union machine? The union which is hell bent on mediation through procedural machinery and consultation, on doing its very best to avoid class war? Not even uninformed readers on the Continent would be ready to buy such ridiculous stuff.